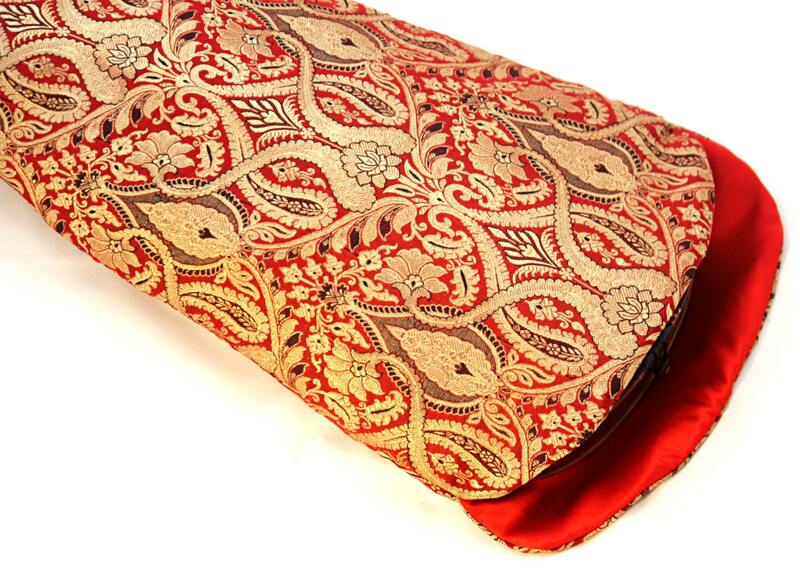 Make sure your viola sleeps well in your case - sleeping bag for your viola in beautiful silk fabrics, handmade by me. Silk gives a sence of luxury and beauty, but not only that - silk is very good to have around your viola since it has a good moisture regain, so it will help protect your instrument. 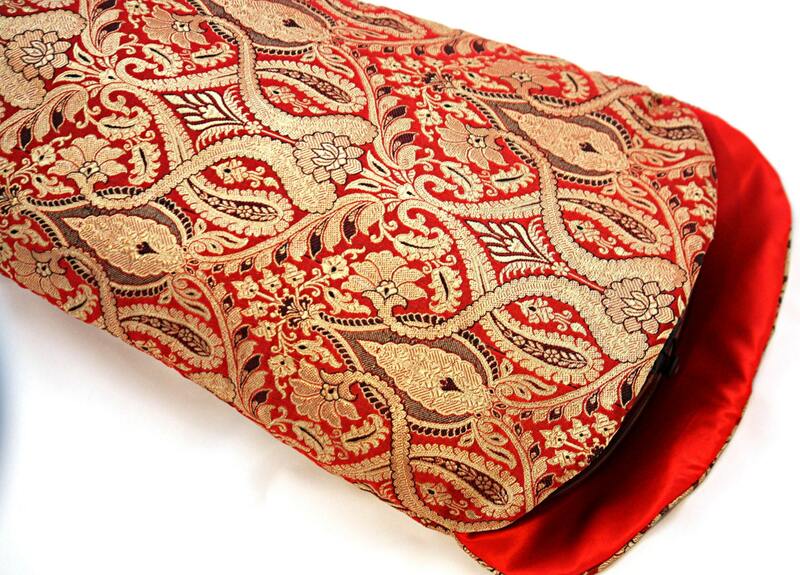 Red and gold silk brocade, lined with smooth red silk and padded around the body of the instrument. This bag is made to order! since all violas are different sizes please check the measurements to see if it would fit your instrument! If it is not the right size, please contact me and I will make one to fit your instrument! 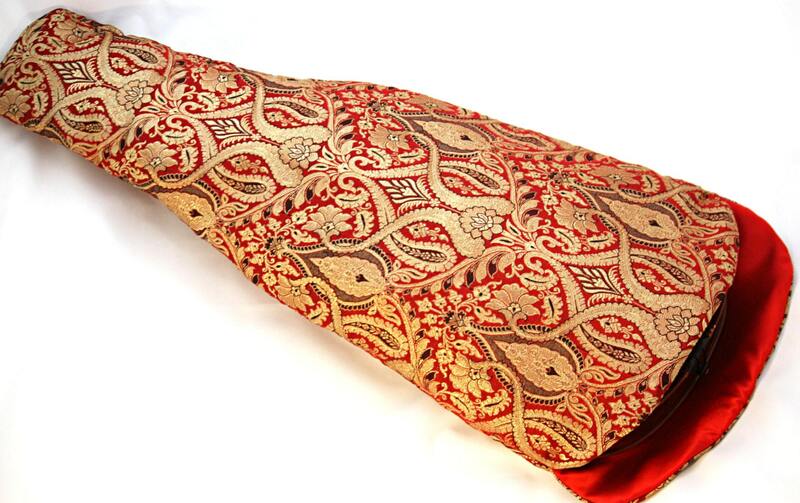 It is made of beautiful silk brocade and lined with very soft and smooth silk. There are no seams inside the bag where the violin could get stuck. There is only one very small at the very top of the scroll (no other part of the violin will ever be in touch with it). You easily slide the violin in and out of the bag, and when putting it in the case the bottom part of the bag that is a bit longer will naturally bend up around the violin and cover the remaining part of the violin. Care: Dry Cleaned only. Can be ironed at the lowest heat. If you have very strong velcro in your case - please be a bit careful so that the velcro does not hurt the silk! A treat for your viola - and yourself!